PACC • View topic - Track Shamals! 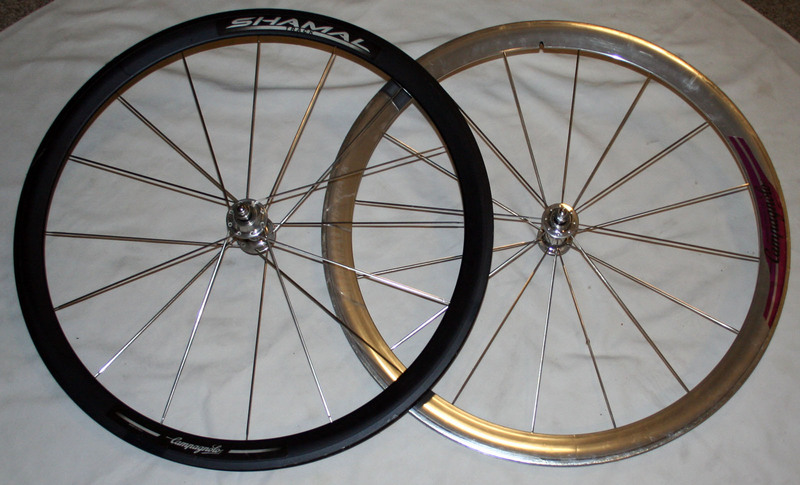 Now excess to my needs - a mismatched Campagnolo Shamal 16 Track set. A beautiful set of wheels, Campagnolo's finest all-purpose track offering. Superlative Record hubs - gorgeous silky smooth with real ball bearings and real adjustable preload cones. - Front is a 1995-ish model. Rear a 2002? final generation black anodised. 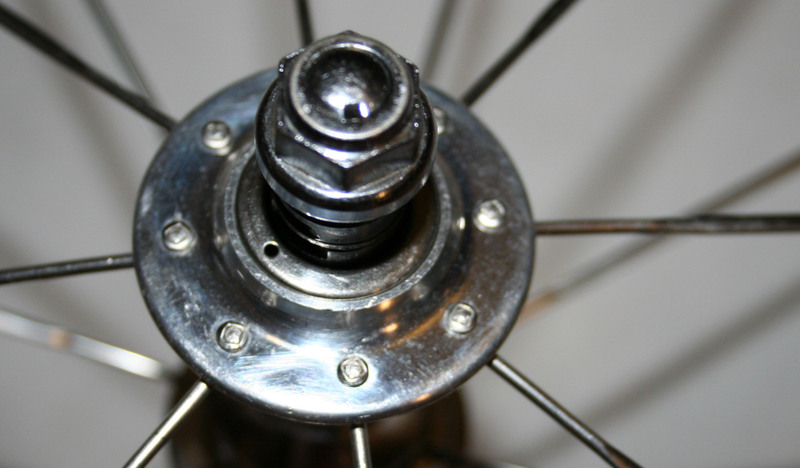 - 16 spokes radial front, 16 spokes 1x rear. 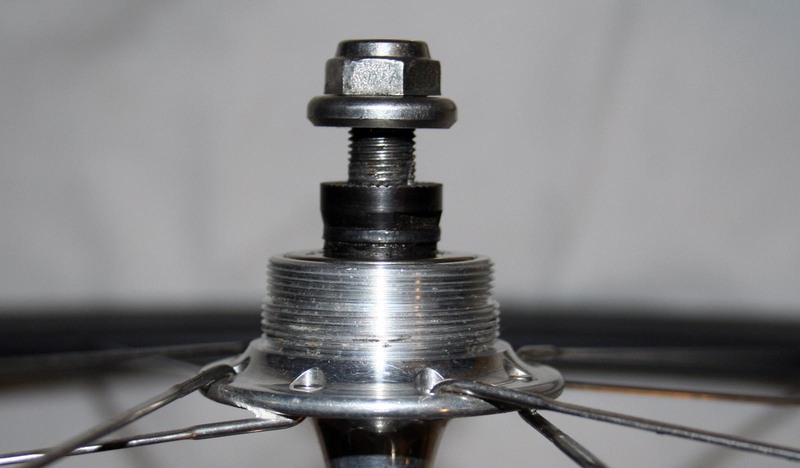 - Cog and lockring threads are in excellent condition. - All original construction - as factory built. Not rebuilt or modified. - My eye says they're straight, round and true. - Front has seen a brake pad at some time - there's a polished ring around the perimeter. The photo flash makes it dogsballs; but in reality its quite subtle and needs closer inspection. Rear is perfect. - Some travel scratches, no dings or dents in either. They're in excellent condition. - Complete set of nuts. 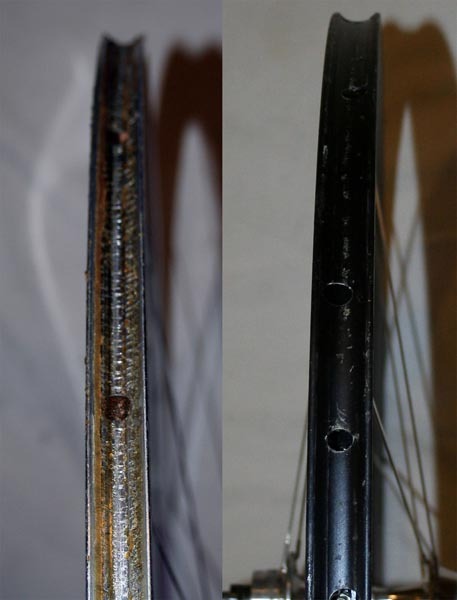 Front glue bed is ok, its Conti classic IIRC. Rear bed was a mess of vittoria red+conti+unknown and has been stripped ready for fresh bedding.